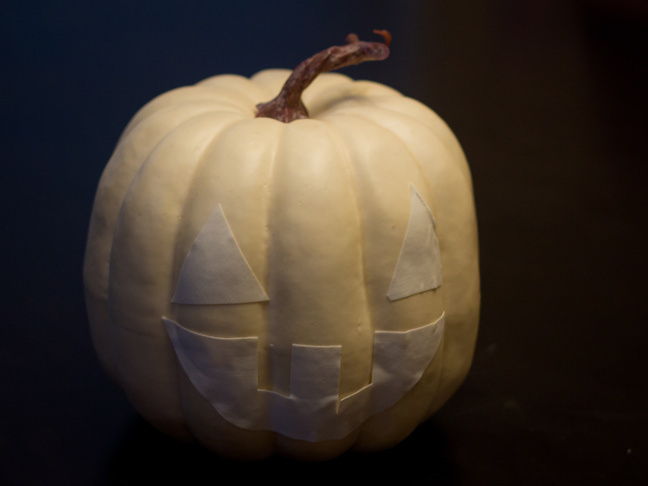 If there is one simple essential piece to all Halloween decorations, it is the jack-o’-lantern. 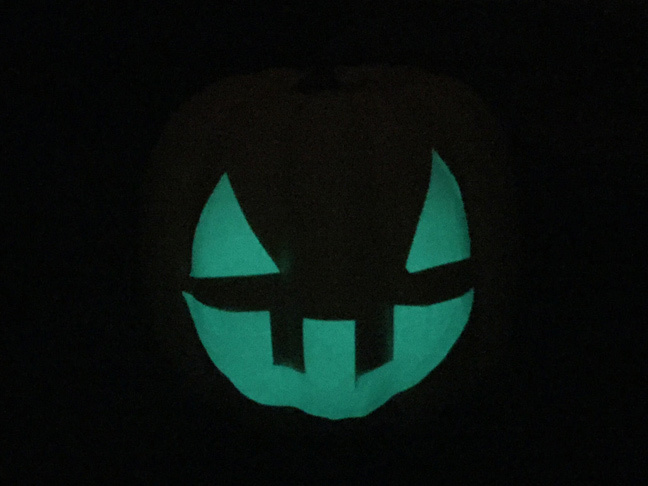 But if you’re like me and you loathe the ooey-gooey construction of regular jack-o’-lanterns, perhaps you’ll enjoy making these simple glow in the dark pumpkins that pack just as much of an eerie punch as a regular pumpkin! 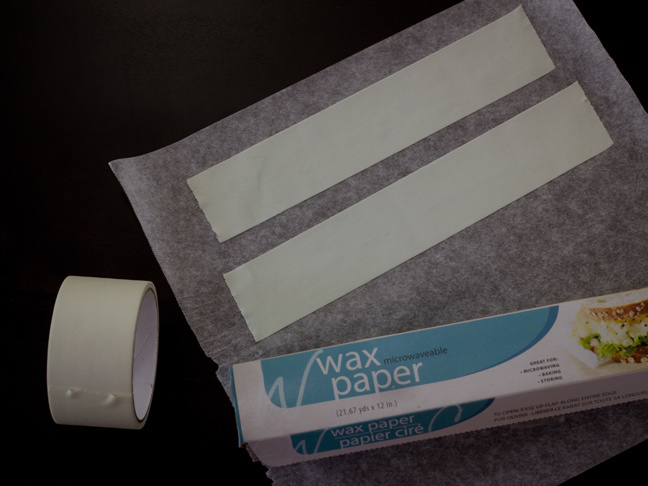 Step 1: Cut a sheet of wax paper long enough for your tape strips. 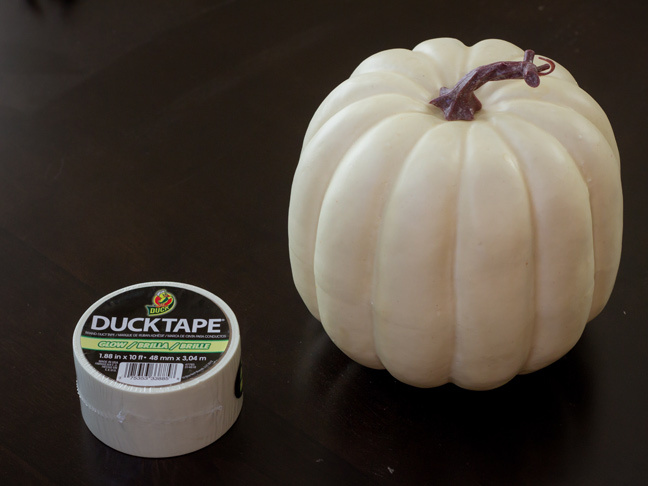 Attach your DUCK Tape lightly to the wax paper. Step 2: Draw your designs for the eyes and mouth (and any other features) on the tape. Cut the shapes out. 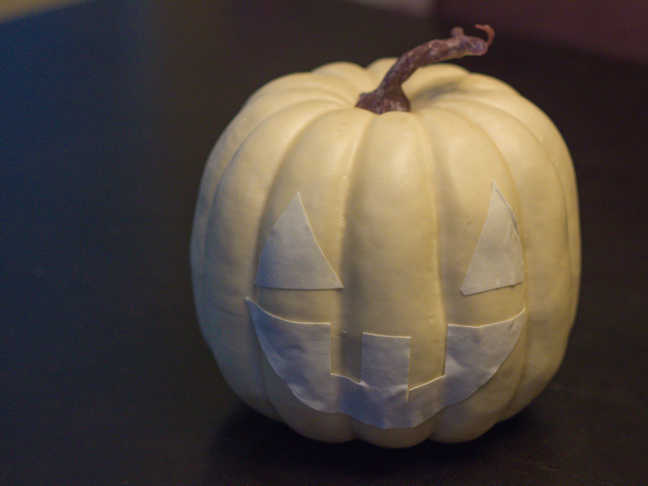 Step 3: Remove the wax paper backing and attach the tape to the pumpkin as you’d like it. 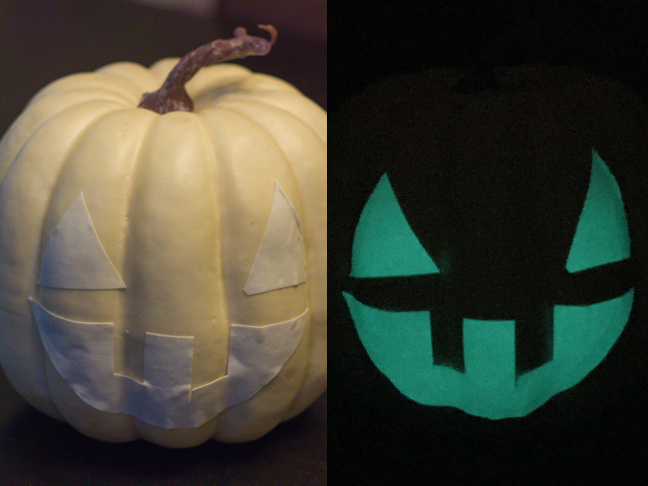 Step 4: To optimize the glow of your pumpkin, expose it to a strong light source (i.e., light bulb or flashlight) before you want it to glow. 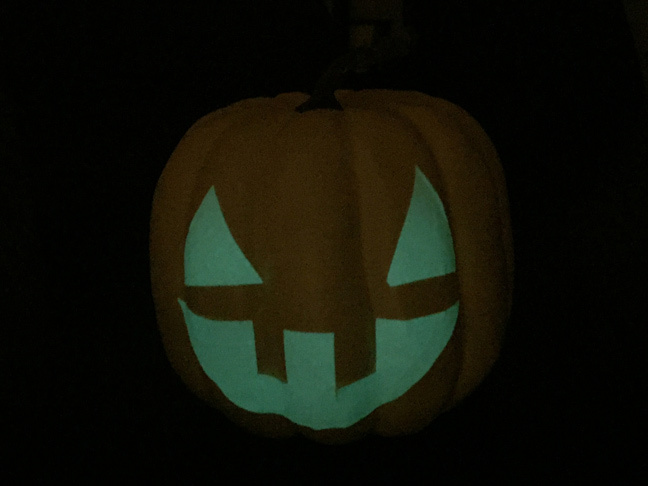 The eerie glow should last well through the night!